Garage Storage Systems - K & B Doormasters Garage Door Sales & Service in Pittsburgh and surrounding areas. Liftmaster Openers, C.H.I. Garage Doors, Genie Openers, Clopay Doors, Wayne Dalton, and Much More. We Service ALL BRANDS! 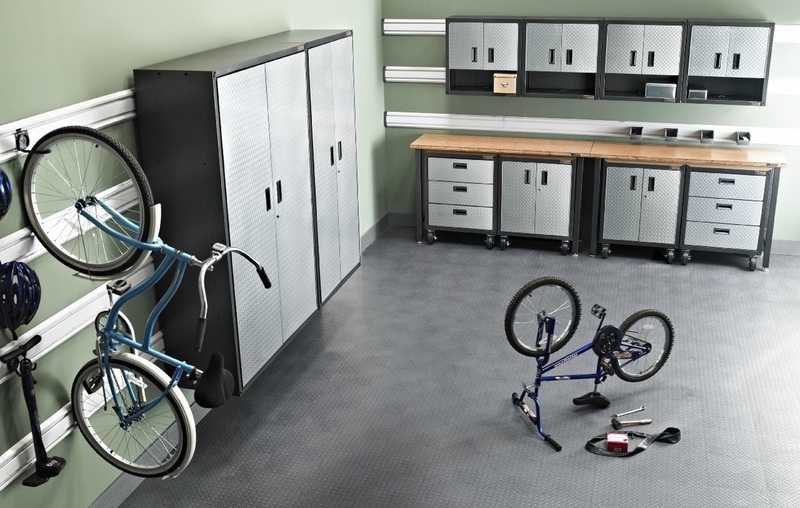 Gladiator Garage Works offers TONS of products for your garage to help you stay organized! If you are not a DIY-er then just let us install it for you! Check out the full product line by clicking the logo below!